I, Pastor CInque do not believe this attack is fake. I think this really happened and that Jussie Smollett has serious proof of his attack based on financial records. Though, this is not what I believe. The ruse is about the prevailing belief of most of you- SMOLLETT IS GUILTY AS HELL HANG HIM NOW! There is such a thing as a German Empire and Nigerian Empire working throughout the world system. The German Empire are the forces o the Temanites (Edomites) VS the Forces of the Sidonians (Nigerians). I think Jussie Smollett at the least was seriously attacked, at the most was an unwitting prop in an all-encompassing chess game involving actors. 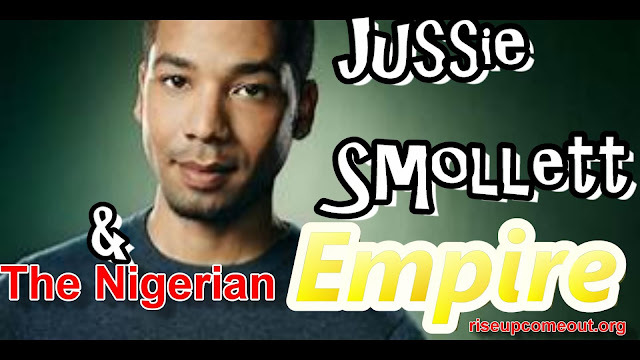 This is not what I think about Jussie Smollett. This is about what you think about Jussie Smollett. Most of you think he is totally 100% guilty and was a pivotal player within this plot. While others, think he was a minor player in the very same plot. We are going to tie this into Competing Elite Plots and Biblical Prophecy. Jussie Smollett was not crazy. He knew exactly what he was doing. Faking a hate crime was an entrepreneurial move. In modern America, victimhood is power that's why so many powerful people claim it. In modern America, victimhood is power that's why so many powerful people claim it. That's why Elizabeth Warren pretended to be an American Indian. It's why, at every low point during the entire span of his political career, Barack Obama invoked bias. That's why so many politicians do the same today. "I have suffered, you cannot criticize me." The academic left has constructed an entire theology around the holiness of victimhood, it's called “intersectionality.” It comes with an elaborate ratings system in which every group in America is assessed according to how much it has suffered. The more your group says it has been discriminated against, the more moral authority you receive. It's a pretty good deal for a lot of people and they have no interest in changing it, and that explains why so many on the left initially jumped to Jussie Smollett's defense. They weren't simply defending him. They were defending identity politics.